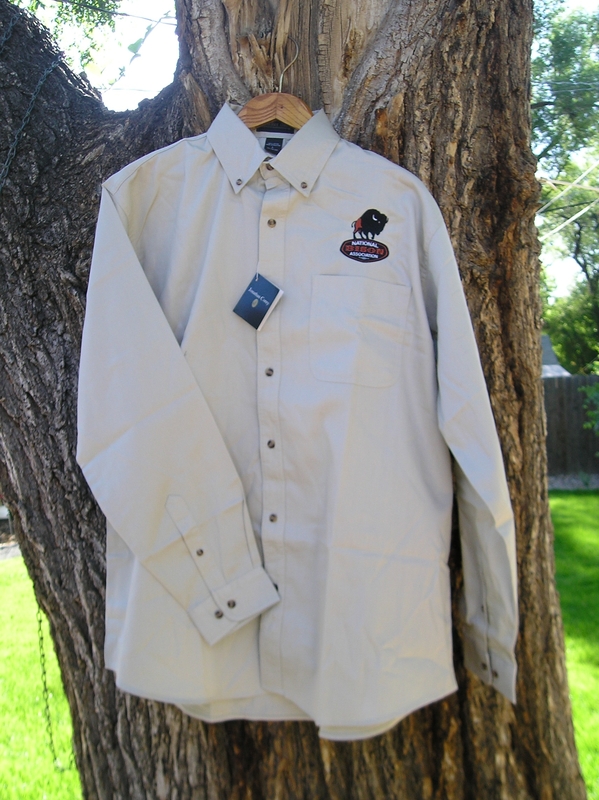 The National Bison Association shirt is high quality, long sleeve, button down, mid-weight,100% cotton shirt. The detailed NBA logo is beautifully embroidered above the chest pocket. This is a versatile shirt you can wear on the ranch or a night on the town. Available sizes: S, M, XL. Member discount available.